Positive internet reputation management can be daunting at first sight. Keeping a good image requires timely interaction with online complaints, positive press in the media, and a spotless record on a Google search for your company name. Even a single bad experience can sour many potential customers to your business, while a host of positive content will only modestly improve sales. Yet, it’s not quite as difficult as it at first seems. There are a few small simple steps you can take to get started on your positive internet reputation management. The first thing you’ll need to do is get in the habit of resolving vocal customer complaints. Nothing is worse for your image than angry customers vocalizing their dissatisfaction with your product or service online. Yet, amazingly, if you respond quickly, fairly, and appropriately to their publicly voiced concerns online, you can easily turn the event from net negative to net positive. When you resolve a problem publicly, potential customers see your responsiveness and will reward you for it. You can garner a lot of goodwill from publicly resolved complaints — so much so, in fact, that it will end up better for your public image than if no complaint had been lodged at all. While complaints on public forums or review sites are seen by many people, the vast majority of problems you’re likely to run into are negative opinions on your business showing up in a Google search for your company name. Nearly every customer who is likely to have an opinion formed about you before interacting with your site will get that opinion from seeing bad press after Googling your business name. It is imperative that all ten spots in the first page of Google search results be positive, or, at the very least, neutral. Even a single negative mention in that first page of search results can do harm, as most people will look on the next page of results if they see conflicting results on the first page. The easiest way to quickly correct this issue is to attempt to crowd out bad search results with good ones. Create online profiles for your company on sites that already have high PageRank, like Twitter, Facebook, or Wikipedia. Even though you run a small risk of turning these results into bad press, so long as you continue regular maintenance of resolving customer problems quickly, there should be no problem. Although it should be noted that editing your own business profile on Wikipedia is frowned upon. Create a stub, but do not fill in content there. You also have to be vigilant about monitoring freshly negative reviews. The best way to keep on top of new complaints is to set up a few relevant keywords as Google alerts. Forward these results to a central RSS feed and keep an eye on it throughout your day. Not only will you be able to gauge the feeling of your business among Internet denizens from day to day this way, but you’ll also be the first person to respond to any complaint made about your product or service. Performing this kind of maintenance regularly will definitely get you an excellent reputation for customer service online. This should push the bad press off to at least the next page of search results, making your job of keeping a positive reputation much easier. Keep in mind that these actions are also best suited for maintenance only. 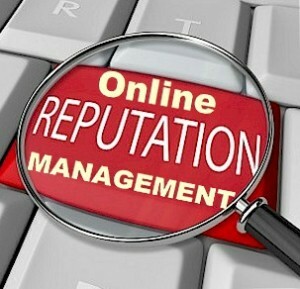 If you already have a poor online reputation, you’ll need professional help to fix your company’s image. Professionals have access to tools that can help when all else fails, which is why the reputation management industry is booming right now.